Heroes – every day's a holiday! On March 29 the Central African Republic remembers the amazing life and mysterious death of Barthélemy Boganda. Though France had abolished slavery in the 19th century, the conditions under which Boganda’s family lived at the time of his birth in 1910 in French Oubangui-Chari were not much better. His mother was beaten to death by officials of the rubber collecting company that controlled much of the region. He was adopted by Roman Catholic missionaries, and at age 12 he took the name Bathélemy after the Apostle who was believed to have traveled Africa as a a missionary. He became the first Roman Catholic priest from Oubangui-Chari.Following World War II Boganda ran for National Assembly of France and won. He spent the rest of his career fighting for racial equality in French-controlled Africa and against French colonialism. He did this by organizing and empowering African teachers, truck drivers, women, and farmers. He founded MESAN – Movement for the Social Evolution of Black Africa, it’s credo: zo kwe zo. Roughly translated: Every human being is a person. Boganda made enemies in these years, notably the companies that controlled what would later become the Central African Republic. 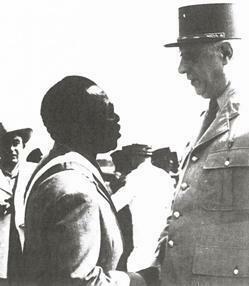 But he had a good friend where it counted — General Charles de Gaulle, who didn’t forget the people of Oubangui-Chari who had supported de Gaulle’s troops early in WWII. Scandal broke out when the priest Boganda met and married a Frenchwoman, a parliamentary secretary named Michelle Jourdain, and was expelled from the priesthood. In 1951 he was arrested for “endangering the peace” for intervening in a market dispute, but did not serve time. Neither did much to harm his public appeal. He was re-elected twice to the National Assembly, overwhelmingly in 1956. And in 1957 MESAN won all the seats in Oubangui-Chari’s territorial assembly. As the tide turned for the independence of French-African colonies, Boganda foresaw the difficulties of a small, independent Oubangui-Chari. Instead he envisioned a United States of Latin Africa, which would unite French, Portuguese and Belgian territories. 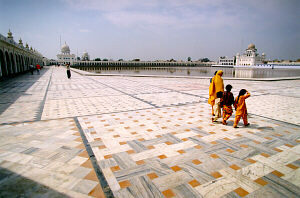 Opposition between countries and egos proved too great for a unified vision. Still, Boganda was able to negotiate his small nation’s independence from France in 1958, forming the Central African Republic. Soon after, he was elected to become CAR’s first President. On March 29, 1959, a plane carrying Boganda crashed in Boukpayanga, killing everyone onboard. The year after his death, the Central African Republic became an independent nation. March 21, the birth of spring, is also the birth of Mexico’s greatest leader, Benito Juarez. On this day in 1806 Benito was born to poor Amerindian peasants in the mountains of Oaxaca. His parents died when he was three and Benito spent his youth working the corn fields and shepherding local flocks. At age 12 he left the mountain village for the city of Oaxaca to live with a sister and work as a servant. There he learned Spanish (he spoke only Zapotec, and was illiterate) and thanks to the help of a Franciscan monk he befriended, gained entrance to a seminary school. He chose to go to law school rather than become a priest. He worked as a lawyer from 1834 to 1842, as a judge for the next five years, and by 1847 he was Governor of Oaxaxa. However, in 1853 he spoke up against the corrupt government of dictator Santa Anna, and was forced to go into exile in the United States. There the former lawyer, judge and governor worked at a cigar factory in New Orleans. When General Santa Anna finally resigned in 1855, Juarez was welcomed back to Mexico. The new government sought to abolish the military government and create a new federalist constitution. Juarez, who had helped to draft a plan for a liberal Mexican democracy during his exile, was selected as the country’s Chief Justice under the new liberal President Comonfort. The honeymoon was short. Conservatives angered by the country’s new democratic direction launched a coup with the support of the military and the clergy. The Mexican War of the Reform was a time of schismatic rule. At first Comonfort tried to negotiate with conservatives, led by General Zuloaga. He agreed to dissolve the Congress and place Juarez and other liberal leaders in jail. However, when it became clear the conservatives were not going to stop short of anything but complete militaristic control of the country, Comonfort reinstated Congress, freed Juarez and other political prisoners, and resigned. Juarez became, by default, the interim president of Mexico. Since Zuloaga’s forces controlled Mexico City, Juarez moved his government to the state of Guanajuato (meaning “place of frogs”). Juarez’s legitimacy was aided by the power struggle between Zuloaga and two other generals, each of whom took turns arresting and deposing one another and assuming military control. When the dust cleared, liberal forces marched back into Mexico City and regained the capital. 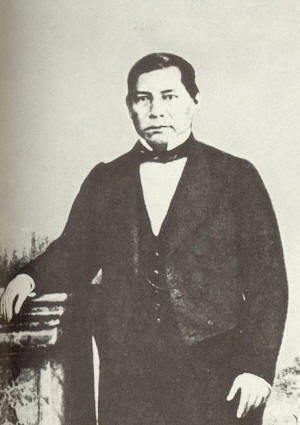 Juarez became undisputed President in 1861. Faced with a bankrupt economy, Juarez declared a moratorium on European debts. Spain, England and France responded by seizing the port of Veracruz. Juarez struck an agreement with Spain and England to repay Mexico’s loans, but France had other plans. They intended to establish a puppet dictatorship under Maximilian I. Again Juarez took his government into exile, this time to the state of Chihuahua. Juarez could not get support from the United States, which was in the middle of its own Civil War. Juarez sought, and got, support from Mexican-Americans in California (recently Mexico) and after the U.S. Civil War, Lincoln and other generals unofficially supported the Juarez government with weapons and men. Maximilian was overthrown and executed in 1867, at which time Juarez became undisputed president for his fifth and last term. He would die while in office at the age of 66. 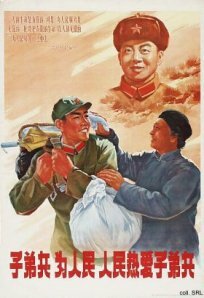 Since 1963, March 5th has been known as “Emulate Lei Feng Day” in China. 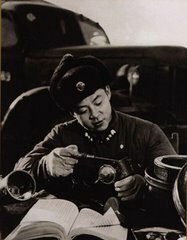 Under Chairman Mao Zedong, schools would study Lei Feng’s diary, create Lei Feng teams to serve their communities, and teach children to be perfect citizens all around, all in the hopes of being just like the legendary Lei Feng. 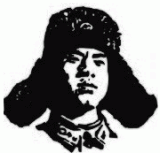 Lei Feng was born into a poor family in Wangcheng, Hunan. He was orphaned at an early age, and taken in by the Communist Party. He started grade school just after the Chinese Revolution. After six years of school, he worked a number of ordinary jobs—a messenger for a local government office, a worker for the Anshan Iron and Steel Company; a truck driver in the People’s Liberation Army. During his service he was known for doing good deeds and donating part of his paycheck to social causes. Until one day at age 22, he died while helping a truck to back up. So why was Lei Feng—one in a billion—chosen to be canonized by the world’s most populous nation? In 1963 the babies of the Revolution of 1949 were hitting their teens. Born in 1940, the 20 year-old Feng was among the last generation that would recall life under the old capitalist regime of Chaing Kai-Shek. The final aspect of Lei’s life that allowed him to become the symbol of China’s youth was his death at age 22. In 1960s China, collectivity and conformity were the qualities of the day—hence the screw analogy. Feng’s death allowed him to break free of the conformity that bound his living compatriots. Not only would he be frozen in time as a young man, but there was no danger of him or his deceased family benefiting from his near sainthood. He was perfect symbol: young, selfless, loyal, and dead. Reports of Lei’s death make it hard to separate the man from the myth. Lei Feng’s popularity has waxed and waned over the past 40 years, depending on political trends. He disappeared in the ’80s after it was noted that Feng wore a leather jacket and Omega watch—symbols of the Western bourgeois capitalism he was supposed to disdain. But he made a comeback in 90s during a government-led return to conservative communist values. World of Warcraft, watch out! Today Russia celebrates Defenders of the Fatherland Day. Russian troops fired on the crowds, killing dozens of protesters. But the real problem for the Tsar was that many of the Tsar’s troops refused to fire on crowds and sided with the strikers. The clashes of February 24-27 claimed about 1500 lives on both sides. In the end the Tsar lost the support of his own troops, was forced to abdicate his throne. 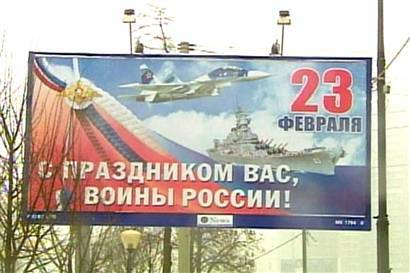 But that’s not why the Russians celebrate on February 23. Nope, it’s because of what happened on February 23 the following year. Nicholas II’s abdication gave way to a Russian Provisional Government, led by Social Revolutionary Alexander Kerensky. Under Kerensky the government declared Russia a republic, pronounced freedom of speech, made steps to encourage democracy, and released thousands of political prisoners. 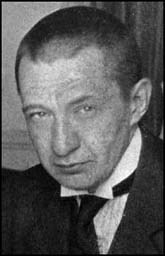 But Kerensky, perhaps because he was the former Defense Minister, continued to keep the Russians engaged in the disastrous war against Germany. Bad move. Like the Tsar before him, the war would be his downfall. The Russian word soviet meant “council.” Soviets were workers’ councils with little power, set up in the wake of 1905’s Bloody Sunday. The Bolsheviks were an extremist minority party and as such could not hold much sway in a democratic assembly. 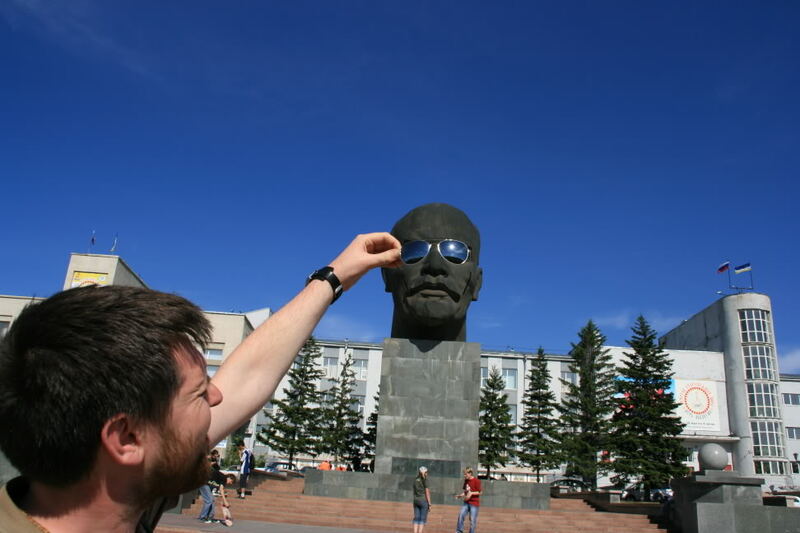 Instead Lenin and the Bolsheviks bypassed the Provisional Government entirely and consolidated their power in these urban workers’ councils known as soviets, the most prominent one being the soviet in Petrogad. In 1917 their platform called for the seizure of land, property and industry by the peasantry and workers, for the transfer of power to the local workers’ councils, and for the immediate end of war with Germany. In April few took the Bolsheviks seriously. By November they ruled the country. What happened in 7 months? After the uprising the Bolsheviks put forth a resolution before the Provisional Government to transfer political power to the soviets.When the Provisional Government voted it down (What a surprise) the Bolsheviks walked out. The next day the Bolsheviks, with the support of 5,000 members of the Russian Navy in Petrograd, issued a decree dissolving the Provisional Government. Lenin believed a standing army was a bourgeois institution and would not be necessary in a communist society; he was proved wrong. In order to ensure beneficial terms in an armistice with Germany, and facing a massive civil war, the Bolsheviks called for the establishment of a standing Workers’ and Peasants’ “Red” Army to replace the disintegrated Imperial Army. February 23 was declared Red Army Day. It was changed to Soviet Army Day by Stalin. And to Defenders of the Fatherland Day following the collapse of the Soviet Union. So, ironically, the date on which the Russians once celebrated women, February 23, is now a holiday extolling men. A 2006 poster proclaiming “Congrats to the Russian Soldiers” mistakingly shows the USS Missouri. 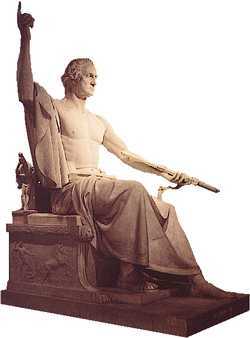 Was George Washington elected unanimously? So you see John Adams had 1 short of half as many votes as Washington. Why do we say Washington was elected unanimously? Originally the Constitution asked state delegates to submit two names for President. The idea being the person with the most votes would become President and the one with the second most votes would be Vice-President. Every single one of the 69 delegates across the 10 participating states voted for George Washington as one of their two choices. The remaining 69 votes were split among 11 other prospects as shown above. John Adams was unique among the 11 others in that he acquired votes not just from his own state (Massachusetts) and its neighbors but as far south as Virginia. 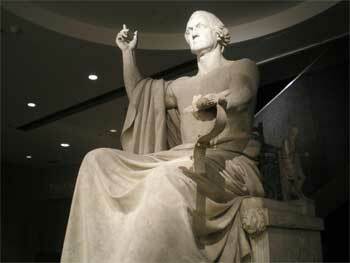 On April 30, 1789 George Washington was inaugurated President. 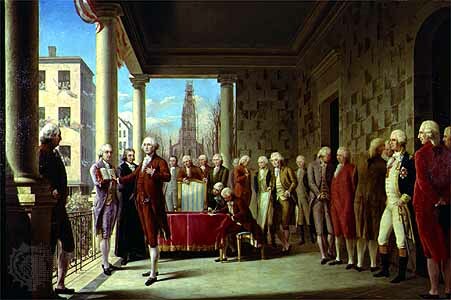 The ceremony took place on a Federal Hall balcony overlooking Wall Street in New York City, the nation’s first capital. Ironically, New York was the one state that had ratified the Constitution but had not voted for Washington. Or anyone else. New York legislators had failed to pass an Election Act in time to select delegates to participate in the election. North Carolina didn’t ratify the Constitution until November 1789, 7 months into Washington’s Presidency. Rhode Island ratified it the following year. Lunatic or a Patriot? The Voice of God or an Enemy of the People? Nope, not George Bush, we’re talking about another controversial figure, whose life is celebrated today in Manitoba. 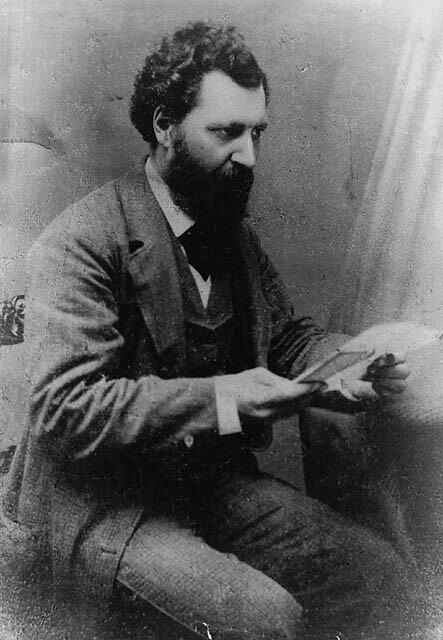 Louis Riel was a leader of the Metis people of Manitoba and Saskatchewan and of French-Canadian Catholics. Riel studied to become a priest and then a lawyer, but did not complete either training. Still, his education and his powerful speaking abilities allowed him to become the mouthpiece of the Metis people. The Metis were the descendants of the native peoples of Manitoba and early French-Canadian settlers. In the 1860s the Canadian government was preparing to absorb a large territory ‘owned’ by the Hudson Bay Company. Riel’s homeland, the Red River Colony, was within the territory’s bounds, and the Metis people feared they would lose autonomy over the their own land. The term “Red River Rebellion” is used to describe the events of 1869-1870, when Riel led a provisional government that opposed the surveying of their land by the Canadian government and occupied the Canadian Upper Fort Garry. The rebellion was mostly bloodless, but during this time Riel ordered the controversial execution of Thomas Scott, a Protestant Orangeman from Ontario, originally from Northern Ireland. Scott had taken part in an action against Riel’s men and had been taken prisoner in an attempt to rescue a local Canadian leader named JC Schultz. After the Rebellion Sir John A. MacDonald, concerned about the possibility of the land being annexed by Minnesota, placated the Metis with the creation of the provence of Manitoba. But the Protestant outcry over the Thomas Scott killing was strong. MacDonald refused to grant clemency to Louis Riel for his role in the execution. 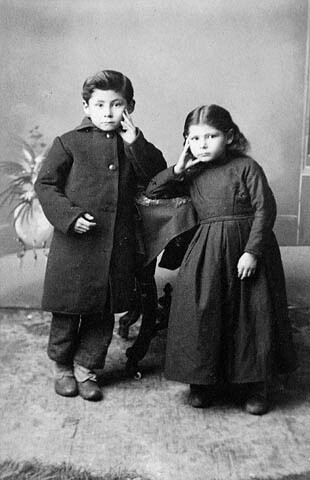 Riel spent the next 14 years in exile, in Quebec, New England and the American Midwest. He was elected twice to parliament by Quebec, but could not take his seat in Ottawa on account of the warrant for his arrest. In 1884 Riel was teaching school in Montana when he was approached by some Metis representatives from Saskatchewan who asked for his help in negotiating for their land rights with Canada. What they may not have known was that during the intervening years Riel had spent time in mental institutions and became increasingly convinced that he had been chosen by God to lead his people. The second Rebellion was not as bloodless as the first. 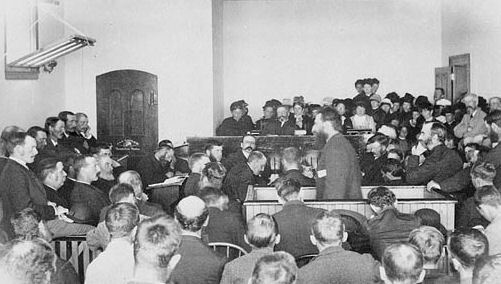 In the end Riel was placed on trial for treason. Riel refused his lawyers pleas to declare himself not guilty by reason of insanity. He was found guilty, and though the jury recommended mercy on his behalf, the judge ordered his execution. It has been said that Riel was found guilty of treason, but was executed for the murder of Thomas Scott. 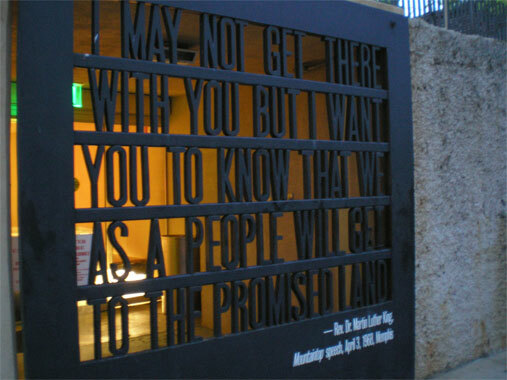 The above quote was from his Mountaintop speech, given one day before his assassination in Memphis, Tennessee. Today we remember, not his tragic death, but his remarkable life. In the early 1980’s, Martin Luther King Day was a holiday in several states, but there was debate about whether King ‘deserved’ a federal holiday. After all only one other American had been so honored. George Washington. “Dr. Martin Luther King Jr. was not a president of the United States–at no time in his life did he hold public office. He was not a hero of foreign wars. He never had much money, and while he lived he was reviled at least as much as he was celebrated. Martin Luther King Jr.’s path differs from Washington’s in many respects; however, his life is consistent with the lives of those who have been honored via holidays throughout the world over the past three thousand years. Martin Luther King was the unofficial spiritual leader of a large, underrepresented minority, suffering from great, long-lasting injustice. Against incredible odds he successfully challenged and helped to change the unjust laws and practices of a powerful nation. In the process he was prosecuted and imprisoned by that nation’s government. He traveled great distances to deliver 2,500 speeches. His words reached hundreds of millions of people. He was struck down during the height of his leadership, while fighting for those values and leading his people to freedom. And he left behind a large body of written and–thanks to the advent of television–spoken work that explains his political, spiritual and moral belief system for future generations. It was in that jail cell that Martin Luther King penned a letter, started in the margins of an old newspaper, and continued on scraps of paper. It is now one of the most powerful documents of the Civil Rights era and a manifesto of civil disobedience.